Heard enough about the European Debt Crisis yet? OK. Seems like every media outlet on the planet is honed in on every hiccup in Europe. They are watching every tick in the Eurocurrency like the fate of the economic world depends on the next .1% move there. As one genius I know put it, “Europe is having a meltdown and everything and everybody else will be going down with it”. I continue to think all the hype about Europe possibly falling apart, or the Eurocurrency collapsing, or any of the other Euro claptrap all over the news, is nothing but another example of market mob psychology working its “magic” on the investing masses…that is, scaring the hell out of everybody and inducing them to make poor investment decisions. 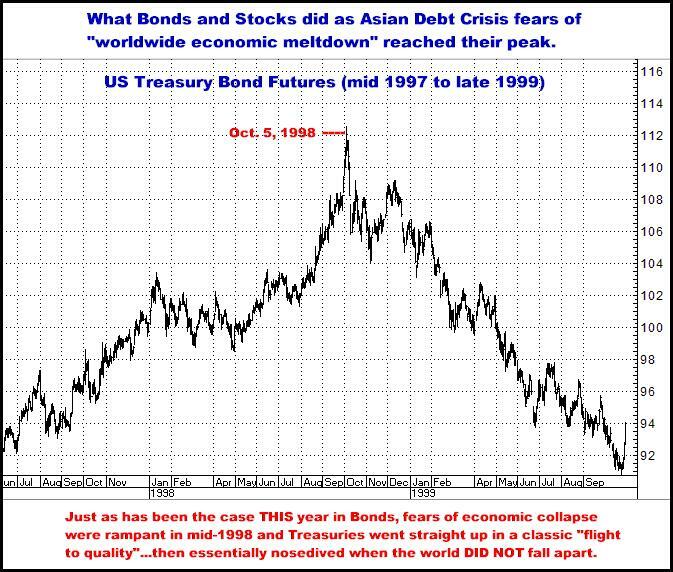 I’m sure all those oh-so-articulate, oh-so-logical, and oh-so-polished talking heads who have been bleating about the world falling off a cliff for the past few months (while the Dow has been rallying 1800 points) would argue, “but the European debt crisis is so much bigger”, but I will tell you we have been here, trading a “debt crisis” before…to be exact, at least twice in recent memory…and both times the world survived, and prospered, and continued on the worldwide capitalistic and technological expansion we have all enjoyed for the past 25-30 years. So what happens now with the “European Debt Crisis”? Is this any different from these two recent history examples…which I assure you…were judged to be just as serious as the whole Europe thing we see ALL over the media every day now? I’ve already had a few people tell me, “Well, this is different. 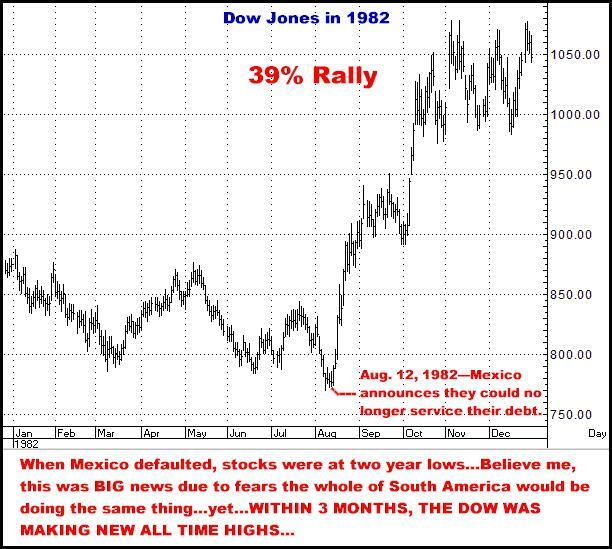 It’s bigger this time”, but in my mind, there is zero doubt it’s the same old song…Europe is NOT going to collapse, nor is China, nor is South America…nor is the USA. As I have written for several years now, the world is experiencing a global explosion of capitalism (China, Russia…all the formerly purist communist nations have gone full blown capitalistic), which when combined with the still young technology revolution, means the world is potentially on an economic upswing unlike anything the planet has ever experienced…No, this doesn’t mean there won’t be contractions (usually preceded by periods of excesses), but the big trend is up…or better yet, up, up and away…and one aspect of this ever positive global economic inertia will be a MUCH higher stock market. 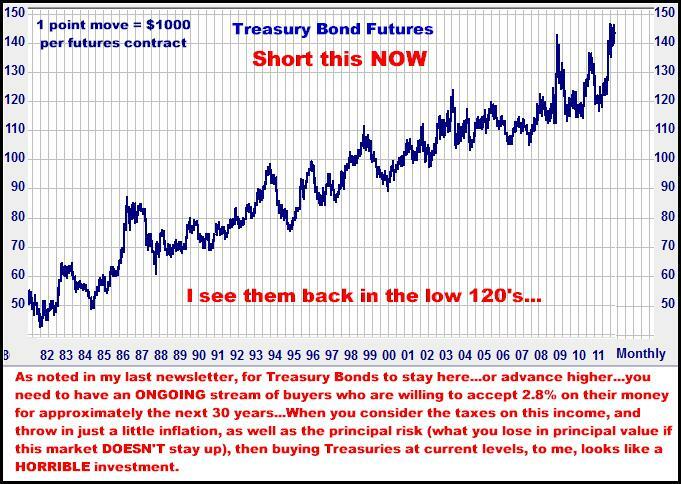 Without getting up on a high horse, many of you will know I have semi-consistently called just about every major Treasury Bond move, both up and down, for several decades now…also that I have during those same years routinely pointed out that Bonds are THE contrary opinion market…that due to a number of factors, this is the market where “expert” opinion is, I believe, perpetually backwards, in as big a way as you could ever dream possible…And right now, I see this market as having already made its last gasp at these incredible highs…and fully expect to see them, for starters, having crashed 12-15 points by as early as mid to late February…I have a 30 year collection of “how bonds die” charts in front of me now, and can assure you a 12-15 point drop in 6 weeks would not be a big surprise…especially when you are starting from the 145 area. Here are quick notes I’ve scribbled during the past month relating to the markets and the current “crisis”…. What does this mean? To me, when I look at the FACT, that in spite of all the crap thrown at the markets this year---tsunamis, nuclear meltdowns, revolution/riots throughout Arabia, the Libyan War, Afghanistan, Korean generated nuclear fears, the mess with Pakistan, the USA’s jobless rate AND finally, from Greece to Italy to the whole of Europe on the ropes---In spite of all that, THE DOW IS UP, ABOUT 500 POINTS, FOR THE YEAR? 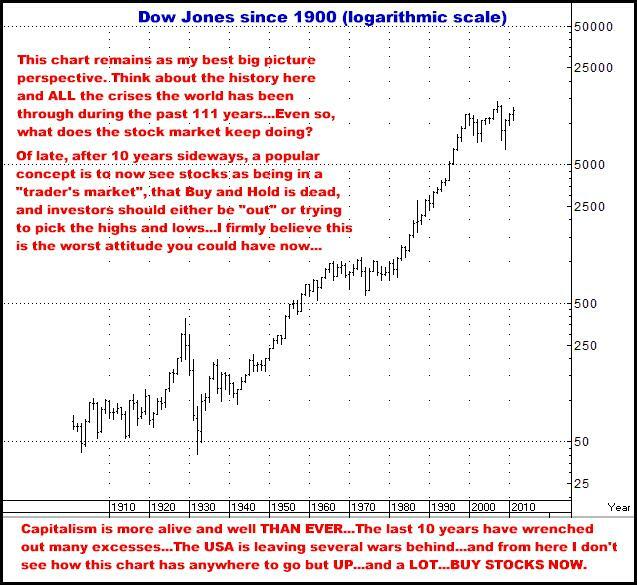 And then I read that the public AND the supposedly smart guys have left the stock market? I don’t know about you, but with the knowledge the public is always running in the wrong direction, and the knowledge that the overwhelming majority of hedge funds UNDERPERFORM the market, it just SCREAMS, to me, “BUY THE HELL OUT OF STOCKS”. NOW. 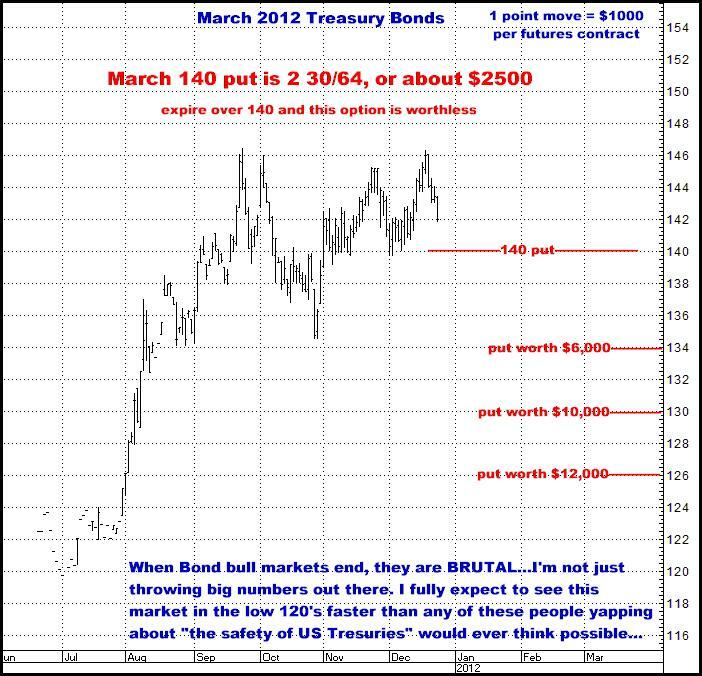 In another vein, I’ve had various people present me with all sorts of numbers that “verify” how impossible the whole debt thing is, both here and in Europe, and “logic” therefore dictates there is no way one should be bullish on equities here…My answer to this is to remind anyone who is thinking “logically”, that in March, 2009, there was not one iota of logic which said, “Buy stocks now. They will almost DOUBLE in the next few years.” I mean it. 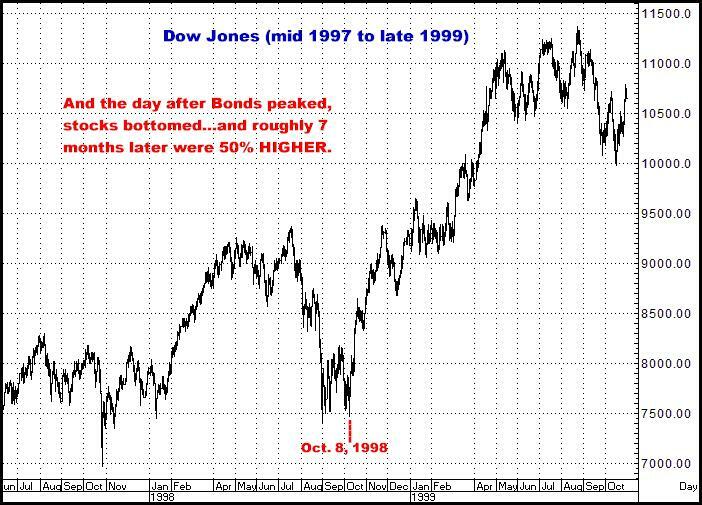 Do you remember how horrified everybody was when the Dow was at 6500 and there was that same old fear, LOUDER THAN I HAVE EVER HEARD IT, that the system was potentially about to fail? 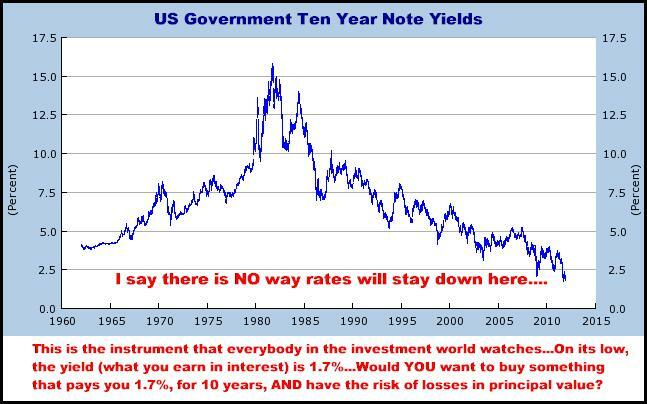 DO you remember?...Well then, if you do, I’ll ask this: With all the hype about Europe right now, does it even begin to compare to the fear back there in 2009…again, when you were supposed to be buying stocks? 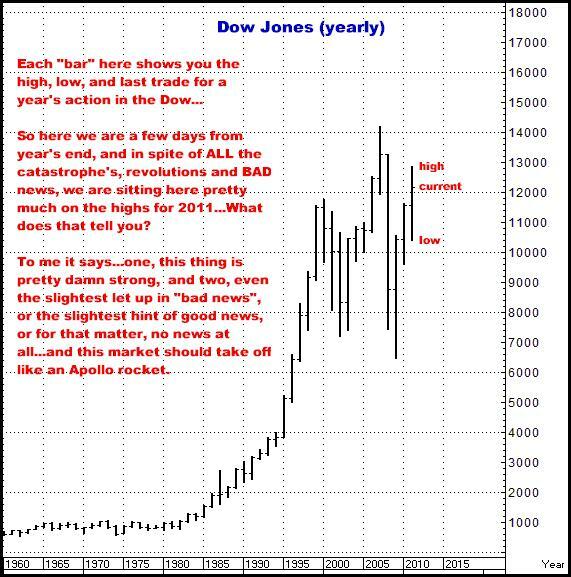 When the end result was going to be a 6700 point rally in the Dow?...The point is, everywhere you turn, talking heads are basically telling you, “DON’T BUY STOCKS! EUROPE WILL TAKE US DOWN WITH THEM!”, when what is going on over there is, to me, a cake walk compared to March, 2009. In the paper investment world, there are three basic choices…stocks, bonds, and cash…and money is constantly flowing back and forth between them, with, as we know, the public generally finding themselves (at some point) totally backwards as to which of the three they should be positioned …And when we also know, as noted above, that the average investor now HATES the stock market, and LOVES the “safety” of Bonds, doesn’t it suggest the smart thing is to be doing the opposite? 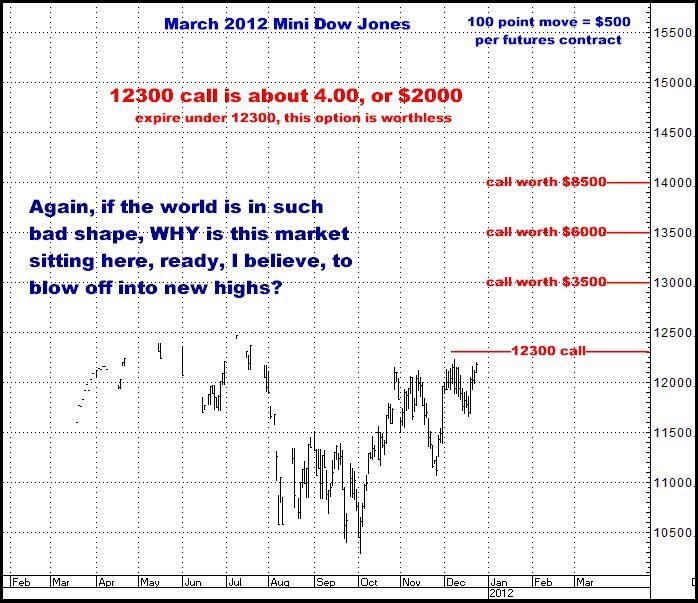 Especially when you consider the following chart…? 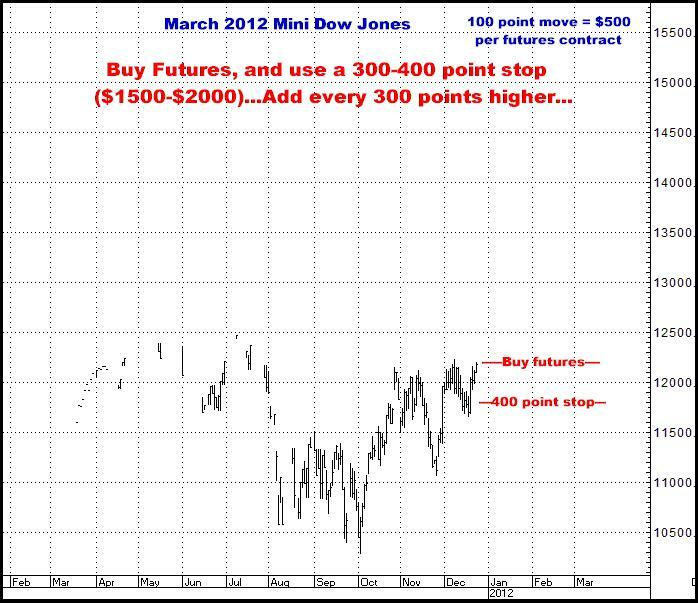 The objective of forecasting is to understand what is NOT already factored into the markets. This is where you find the true opportunities. Simply repeating the consensus view, which is fully discounted in the markets, is practically USELESS. Really. Take one last look at where this market is sitting as we end what has been one of the most angst riddled economic years I can ever remember…One more time…If all the “logical” BS is so accurate, so predictive of “bad times still ahead”, why in the hell is the Dow looking, to me, like it is an inch away from busting out and making new highs? OK, it IS Christmas and who cares about this sort of stuff right now? So I am out of here to do some last minute shopping so my wife and kids will know Daddy loves them….